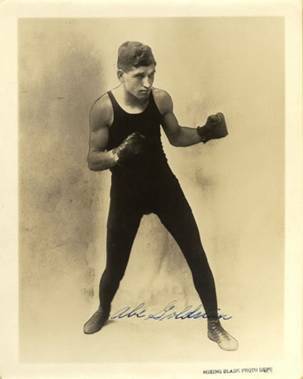 Goldstein, the world bantamweight champion in 1924, was ranked the No. 5 bantamweight of all-time by manager Charley Rose. Goldstein turned professional in 1916 at the age of 17 and lost only once in his first 40 fights, including 16 knockout victories. 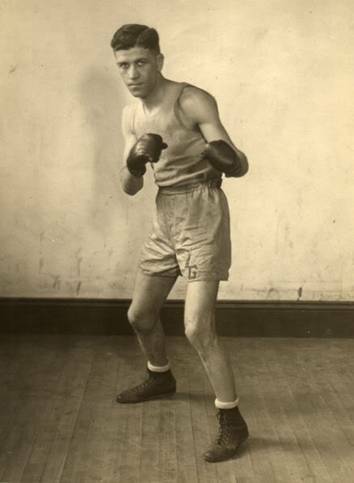 By 1921, he was a contender and in March, Goldstein received his first title shot. Against American flyweight champion Johnny Buff, Goldstein was knocked out in the second-round. After his loss, he went undefeated in his next 19 fights until losing a 10-round decision to Johnny Sheppard in April 1922. Seven months later, Goldstein received another shot at the American flyweight title, but lost again, this time, to Pancho Villa in a 15-round decision. Goldstein bounced back from this defeat, and did not lose in his next 15 fights, and went undefeated in 19 of 20 bouts before receiving another title shot in 1924. He faced Joe Lynch, the world bantamweight champ, who had knocked Goldstein out in the 11th-round back in November 1920 (it was Goldstein's second career loss). When they fought again in March 1924, however, Goldstein avenged the loss and won the title when he defeated Lynch in a 15-round decision. 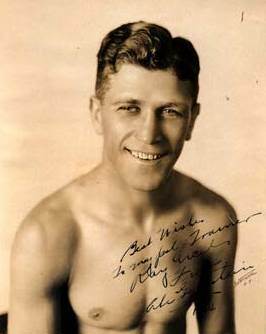 Goldstein successfully defended the title twice (July 16 against Charles LeDoux and September 8 against Tommy Ryan) and held the title for nine months before losing to Eddie "Cannonball" Martin in a 15-round decision on December 19, 1924. Over the next three years, Goldstein continued to fight the top bantamweight boxers in the world, although he did not receive another title shot. He faced Charles "Bud" Taylor three times from 1925-1927, losing twice with one no decision; Taylor won the bantamweight title in June 1927, one month after the third fight with Goldstein. He also defeated Hall of Famer Panama Al Brown in a 10-round decision in April 1926. Goldstein retired in 1927 with a professional record of 89 victories (30 knockouts), 5 draws, 13 losses, and 22 no decisions. Athletic Club tonight. Ledoux started the first round cautiously, taking the defensive. Goldstein staggered him with a stiff right, Ledoux almost losing his balance from the force of the jolt. Goldstein doubled Ledoux with a beautiful left to the body.In the second round Ledoux started to take the aggressive. He evaded Goldstein's lunges and drove his gloves to Goldstein's body.The champion backed up. The one-two punch to the jaw slowed Ledoux, but only temporarily, for he came back strong, an elusive target for the hesitant champion. Goldstein started to box in the third round, his left jab bothering the shifty Frenchman. Ledoux was playing for the champion's body exclusively. Goldstein landed a hard right to the head, A left spun him around. Goldstein looked bad when his right went wild at the start of the fourth round. Goldstein's right found Ledoux's body and he backed to the ropes. Ledoux missed aclumsy uppercut and the crowd booed. They met in a clinch in the center of the ring to start the fifth. Goldstein's right sent Ledoux rocking to his heels and he backed away across the ring. Goldstein opened the sixth by stinging Ledoux with a straight right to the head.He jabbed,him with his left repeatedly. Ledoux got in two left Jabs, but they were weak. In the seventh round Goldstein started to open up, rocking Ledoux around the ring with well-timed lefts and rights. The Frenchman was bleeding from the mouth at the bell. Two punches tell the story of the eighth round, both rights to Ledoux's head, which only served to make the Frenchman more shifty. The ninth round brought plenty of action without any result. Goldstein punched and then backed up, waiting for Ledoux to come on for more. The tenth round was half over before either landed a blow. Then Goldstein got over A half hearted right. Ledoux dancing, ducked, shifted and ran with Goldstein chasing him. A stiff right to Ledoux's head reeled the challenger in the eleventh and he almost went down. The crowd yelled to Goldstein to finish him. Another right sent Ledoux down for a count of eight. Ledoux's nose appeared broken when he came up for the twelfth round but ho kept on. spilling blood badly A pair of hard rights to the injured member only spurred Ledoux on. At the bell he was in bad shape. Ledoux got over a roundhouse left to Goldstein's head to start the thirteenth. There was little action in the round. Goldstein, In the fourteenth, continued his tattoo to Ledoux's nose. A series of rights and lefts sent Ledoux completely through the ropes, but he did not fall from the ring. He came up at the count of four. They shook hands to start the fifteenth. Goldstein was too eager to put across a finishing blow and his lunges went wild. The bell found the Frenchman on his feet fighting, but badly battered.